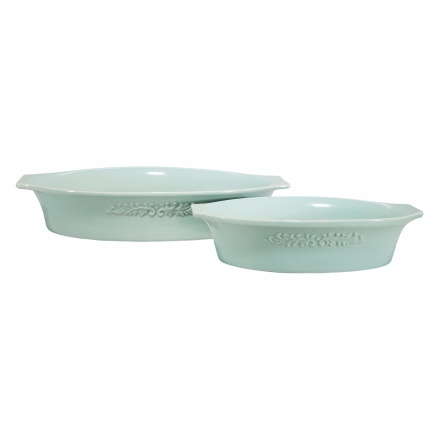 Add grace to your cutlery collection with this stunning bakeware set. 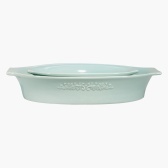 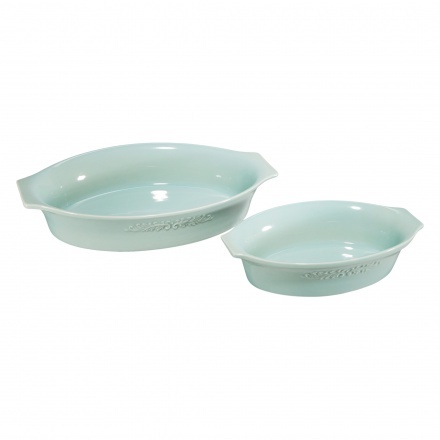 Featuring an oval shape, it is made of food-safe stoneware and is freezer safe, microwave safe and dishwasher safe. The embossed pattern on the side lends grace to the design.